I feel like I haven't been able to play "real" games lately, but that's not really true. I have played Rogue Legacy and OlliOlli and I finished up with Secrets of Raetikon. I just haven't really had something to sink my teeth into and I have been playing too much Spider-Man Ultimate on my iphone and the odd game of MTG 2015 takes up time too. 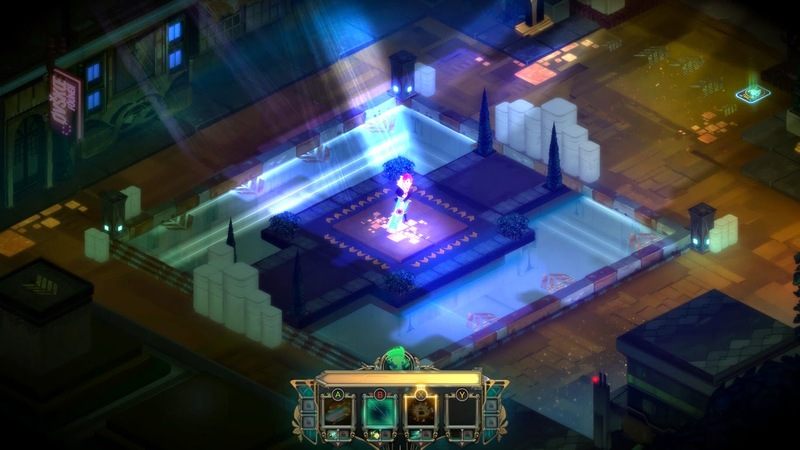 Transistor is something that I have had on my radar for a while, being from the guys that gave us Bastion (Supergiant Games) although I never understood or informed myself what it actually was. 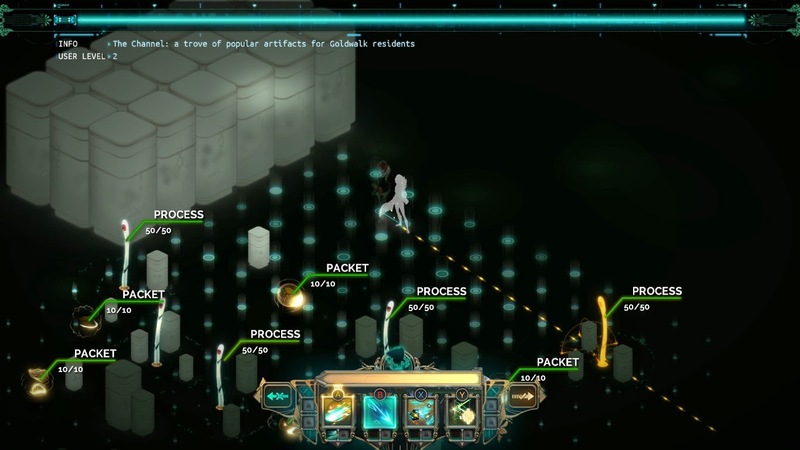 It turns out it's a mix of a turn-based and a hack-and-slash. You can activate the turn-based fighting style, which definitely gives you an edge but it far more fluent than in other games and you can always just play a more straight forward action style if you want to. 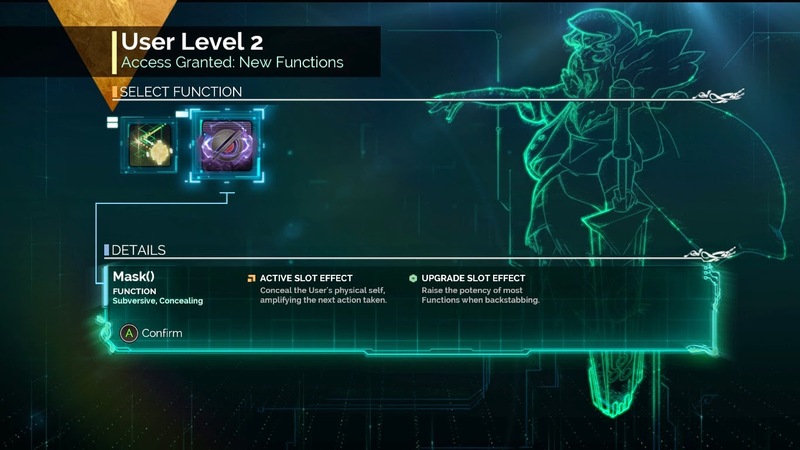 As you level up each new ability you acquire can be used as either a main role, an assisting role, or in a passive role, this allows the player to customize their play style and their "spells" in a pretty neat way. As you unlock more "slots" of passive and assisting roles you really begin to feel the power of the customization. To me, this way of using spells and skills has been more interesting than Diablo 3. 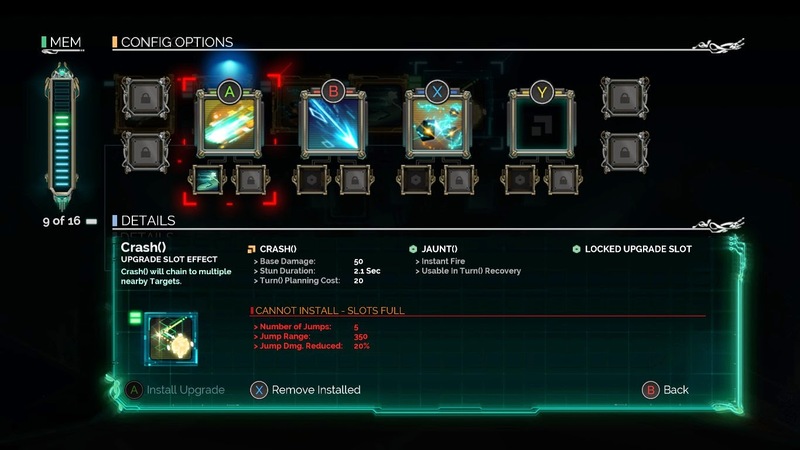 When you level up you are given different choices for a new abilities furthering the customization of gameplay and strategy. No need for classes or races here, you can make a very different character just based on your personal play style. The game, like Bastion, is gorgeous. Everything is glowing and detailed and looks like a painting. 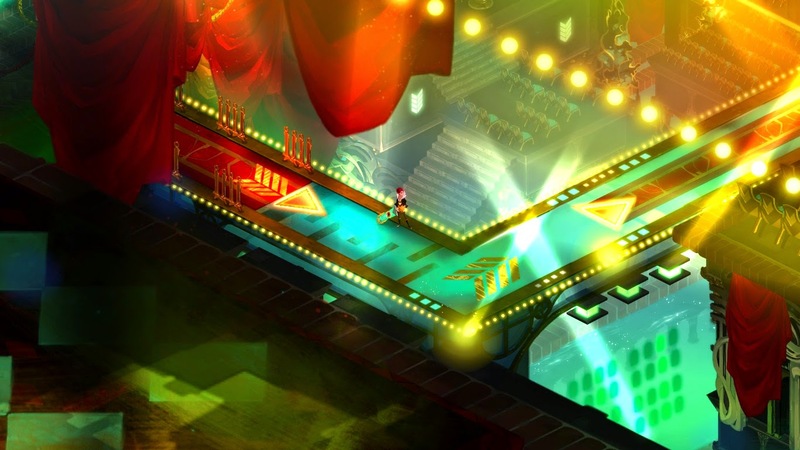 There are so many different types of architecture mashed up into what becomes a very original style or the world of Transistor and it couldn't be more fitting. The music is great too; eclectic and haunting and again perfect seeing as the protagonist is a musician herself. 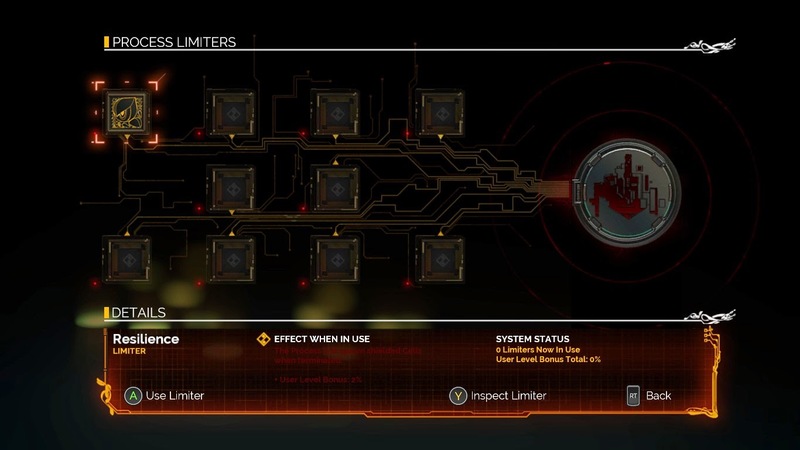 Later you find "Process Limiters" with which you can adjust the difficulty of the game by giving baddies an advantage the payoff being a bonus to your XP: a pretty good trade off. Once again, did I mention that this game is beautiful? I spend so much time taking screenshots and messing around with the environment - I just love it. 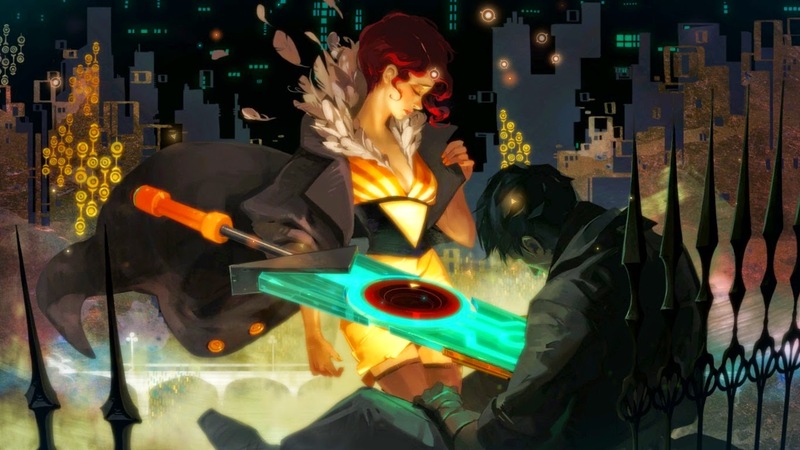 Transistor has my vote. Definitely recommended. Check out the trailer below - and watch for the environment designs and characters....HOW IS THIS NOT AN ANIME? !